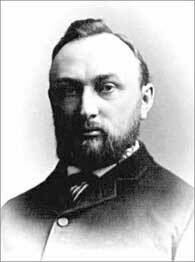 Edward Pickering was a prominent American astronomer who pioneered the development of the color index method for cataloguing stars and who encouraged many young scientists into astronomy, including (unusually for the time) many women. Pickering graduated from Harvard and then taught physics for 10 years at the Massachusetts Institute of Technology, where he built the first instructional physics laboratory in the United States. Appointed at age 30 as director the Harvard College Observatory, he served in this post for 42 years. He and his staff made visual photometric studies of 45,000 stars. With funds provided by Henry Draper's widow, Anna Palmer Draper, he hired a number of women, including Williamina Fleming, Annie Jump Cannon, Antonia Maury, and Henrietta Leavitt, and produced the Henry Draper Catalogue, with objective prism spectra of hundreds of thousands of stars classified according to Cannon's "Harvard sequence." He established a station in Peru to make the southern photographs and published the first all-sky photographic map. He and Hermann Vogel independently discovered the first spectroscopic binary stars. He also discovered a new series of spectral lines, now known as the Pickering series, that turned out to be due to ionized helium. Pickering encouraged amateur astronomers and was a founder of the American Association of Variable Star Observers.